We all have places that hold some significance to us in our cities. It could be the location of our family members or places we usually meet up with our friends at. Finding your way to your favorite places does not have to be a hassle as long as you have apps such as Direction Known installed. 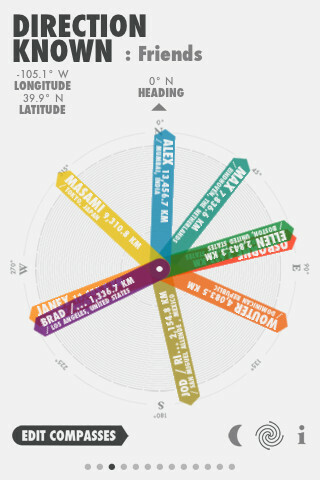 Direction Known for iPhone enables you to create multiple personal compasses to keep track of your favorite places. Direction Known supports multiple compasses. These can have different colors and point to places that are important to you. The app knows your current location which means the direction of each arrow is kept up-to-date at all times. 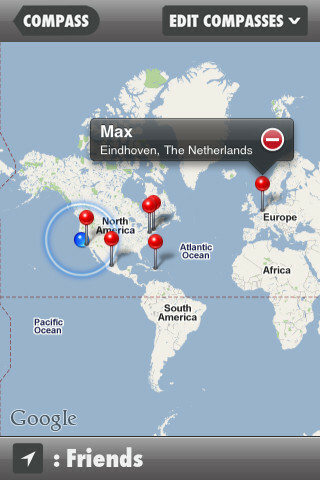 The distance for each location is displayed as well. Direction Known can be controlled with gestures. Just swipe to move between compasses. Night and day backgrounds are available as well. Direction Known is a simple navigation tool that keeps track of the places that matter to you the most. It has not been updated for a while which is always a cause for concern. But the idea has a lot of potential.